The USA is no longer the world capital of manufacturing and under the current economic conditions of the USA, Corky Newcomb believes it is critical that every American learn how to maximize their creative potential. Everyone's mind is like a goldmine and Corky will give you the tools and techniques to mine those solid gold ideas buried deep within your brain. Newcomb provides over 35 years of experience inventing and marketing over 40 inventions. He believes that creativity is not determined by your genes. Therefore, everyone has the potential to create revolutionary ideas and inventions which will make an impact on everyone's life or even change the world. Corky will change your thinking and teach you new ways to think so you can start inventing exciting products immediately! Corky Newcomb will teach your students, employees, charity, association, and civic organization how to create and generate fantastic ideas faster than you have ever created them before. He uses his 35 plus years experience of inventing, marketing, advertising, selling and promoting his over 40 inventions including the NITELITE golf ball as well as other inventors' inventions. He believes everyone is capable of creating brilliant homerun inventions that will fly right out of the ballpark. No one owns the patent on creativity. Newcomb says that everyone's mind is like a goldmine and he will give you the tools to mine those solid gold ideas buried deep within your mind. Sell more products or services than you sold last year. Increase your selling price and sell the same number or more products or services than you sold last year. Invent revolutionary exciting new products and services. Corky Newcomb will teach your students, employees or organization exactly how to do # 3 in a 60 to 90 minute presentation that is designed for your students', company's, charity's, association's goals and objectives. He will change your thinking and teach you new ways to think based on how the brain and mind function. Your group with create inventions using Newcomb's tools and techniques during his presentation. So when the audience leaves, the will not only leave with exciting inventions but will leave with the confidence and belief that they can create inventions on demand. Where do great ideas come from and how to create more ideas faster. Are you an inventor and entrepreneur waiting to be born? What are the requirements to become successful. The risk factor and how much are you willing to bet on your invention? What is a patent and do you need one? Can you afford to defend your patent by litigation? What is a prototype and how do you build the best one possible? Funding your invention.....private, angels, venture capitalists. Marketing your invention vs. licensing your invention....the pros and cons. Royalties, Exclusives vs Non- exclusives. P.R. and how you can get free publicity to promote your invention. 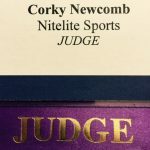 Also inquire about Corky Newcomb's day long seminar which features all of the above topics plus much more. Time is devoted to actually creating inventions and making prototypes during this seminar. All aspects of inventing and marketing will be covered from creating a product in the embryonic stage and getting your product on and off the retail shelf. Awards are given according to participants votes to determine which inventions created on that day have the highest probability of success. Newcomb's seminar comes with a MONEY BACK GUARANTEE. If you do not leave more inspired, more motivated and with at least one really tremendous idea, he will refund your money. No questions asked. * Inventor of the NITELITE GOLF BALL sold in 84 countries where thousands of NITELITE golf tournaments have been made. Over $25 million of NITELITE golf balls have been sold at wholesale prices. * Inventor of the Automatic Curveball and Slider, NITELITE lighted football, Wiffleball, hockey puck, badminton birdie, flying orbiter, Easter eggs, TeeTime golfball glasses, Flying Birdie Golf balls, Golf ball finder, Driver Wild cologne, Tees Perfume, Electronic Floating Greens, LITEBAIT fishing lures, the Matchmaker, NITEGAMES Family Fun Pak, electronic Talking Autograph baseball, football, basketball, golf ball, tennis ball, soccer ball, puck and talking tire for NASCAR fans plus many more revolutionary inventions. 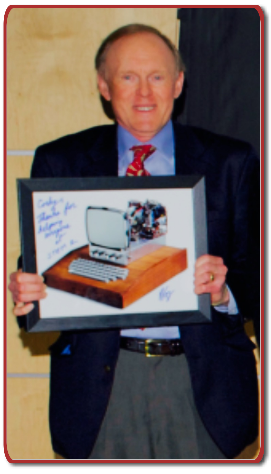 * Winner of the N.H. Exporter of the Year award from the Governor of N.H.
* Judge at the local and state NATIONAL INVENTION CONVENTION competitions. Reviewed the 300 finalists' inventions at the NATIONAL INVENTION CONVENTION competition at the U.S. Patent & Trademark Office in May 2016. * University of N.H. Varsity Baseball Player and Babe Ruth Baseball Coach.